Andy's Trails invites you to discover their very best of our state's local produce, wineries, craft breweries and eateries. From Victoria's Surf Coast to the Otway Ranges, enjoy full immersion day or multi-day bus tours, which showcase Victoria's world-class produce, gourmet beverages and breathtaking scenery! Andy, your friendly and experienced guide, is incredibly passionate about our beautiful state and has built three craft beer venues from the ground up, with each venue specialising in supporting local produce, craft beer and wine. Originally from Tasmania, Andy moved to Melbourne to make his mark in the craft beer scene long before craft beer was cool. Andy's partner, Elin, is the daughter of a dairy farmer (the Harvest Hinterland tour travels through her old stomping ground!). She grew up living "paddock to plate" with milk, eggs, pork, beef and many fruit and veggies coming from the farm itself. Working on the farm milking cows and raising poddy calves when not at school helped her gain a true understanding of the passion and hard work that goes into creating amazing produce fresh from the source. Together, Andy and Elin have created a growing collection of craft beverage tours and local produce adventures which celebrate some of Victoria's award-winning and celebrated wineries, breweries, eateries and farms. These interactive tours are all-inclusive and give you the opportunity to meet the makers and growers and discover how beer is brewed, how whisky is distilled, where wine is produced and how to make the most of local, seasonal produce! 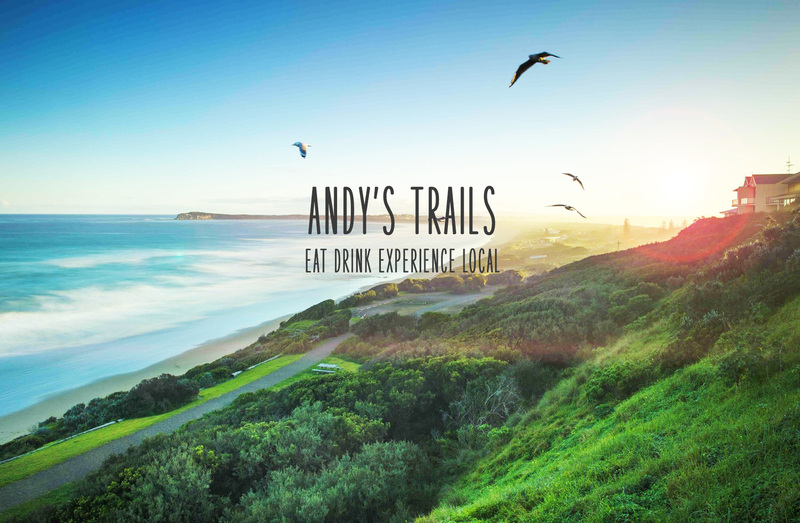 Engaging, enlightening and entertaining, Andy's Trails are all about enhancing your enjoyment of local produce and beverages against the stunning backdrop of rolling hills, calm bays, wild coastlines and rainforests. Andy has done all the hard work - so all you have to do is sit back and take it all in - choose from one day and multi-day craft beer tours, local food and drink produce tours or for something a little special - epic Tasmanian indulgence tours. A locally owned and operated tour company, Andy will be happy to create a customised tour to meet your needs. Book before Christmas and you can take advantage of a special offer - book a trip for 8 or more and one person gets a FREE trip! To find out more about Andy's Trails and to make a booking, please visit the offical website, Facebook and Instagram. Where’s the Best Day Hike Near Melbourne? Where's the Best Maze in Victoria?